And You Will Get a REAL PERSON! What Was Life Like In 1918? Happy New Year! 2018 is looking to be another exciting year and we want to wish you all the best. But, before you start working to make all your dreams come true, let’s go back and take a look at what life was like here in 1918. It was a lot less crowded back then – we only had 103.2 million residents living in the S. Today, there are 325.4 million people living here! In 1918, the average life expectancy in the S. dropped by 12 years! Men only lived an average of 36.6 years, and women only lived 42.2 years. A lot of this was due to the number of lives lost in WWI, and the number of lives claimed by the 1918 flu pandemic. County, Kansas, and it quickly spread around the world. About 500 million people around the world were infected, and they estimate that it resulted in the deaths of 50-100 million. 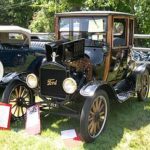 664,076 Model T Fords were built and they were still selling for only $500! About 6.1 million cars were registered in the S.
On January 1, the first S. gasoline pipeline began transporting gasoline through a three-inch pipe over 40 miles, from Salt Creek to Casper, Wyoming. 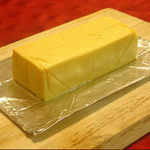 was later sold to Kraft Foods, in 1927. Opha May Johnson became the first female U.S. Marine, in August of 1918. More than 300 women joined the Marines during WWI. American farmers had an average pay of $37.50 per month, with board. Without board, their average pay was $48.50 per month. California’s minimum wage rose to $0.21 per hour. In May of 1918, Chevrolet Motor Company merged with General Motors (GM) and became a division of GM. The number one hit record was titled “Tiger Rag”, by the “Original Dixieland Jazz Band”. Daylight Savings Time first went into effect on March 31, 1918. 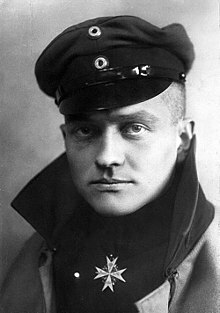 On April 20, the German fighter pilot, Manfred von Richthofen (aka the “Red Baron”) shot down his 79th and 80th The “Red Baron” died the following day when he was shot down by Roy Brown, a Canadian Pilot. On May 13, the first airmail stamps were issued. They were priced at $0.24 each. On May 15, the first regular airmail service between New York and Washington C. was inaugurated. On May 20th, the battleship New Mexico was commissioned. This was the first ship with steam turbo-electric power. A parachute was used for the first time during combat, on April 1. The German pilot was able to jump clear of his damaged bi-plane and float safely to the ground. Wow! . . . just think about all of those other pilots who had no choice but to crash their planes into the ground! David Jung, founder of the Hong Kong Noodle Company in Los Angeles, claimed that he invented the fortune cookie in 1918. Jung was concerned about the poor people who were on the streets near his shop, so he created these cookies and passed them out for free. Each cookie contained an inspirational verse written by a minister. On November 11, 1918, an armistice was signed with Germany, and the hostilities of WWI ended. As you can see, life in America has really changed over the last 100 years. Can you even imagine living without a bathtub, radio, TV, or smart phone? Copyright 2019 Termite Terry Pest Control. All rights reserved.